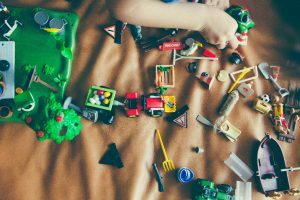 Data shows how parents are spending way more on collectable toys this year, compared to the previous year of 2017. When analysing the recent data showing expenditure in families, we can see that sales of collectable toys (such as the popular L.O.L dolls) have risen by a substantial 30% when compared to the previous year. Analysts say that these types of collectable toys being bought by parents, now account for three out of ten toys that are being sold. Experts say that this significant up rise in the desire for these popular collectable toys comes from ”unboxing” YouTube videos that show layers of unwrapping a present until finally getting to the toy. These videos have become incredibly popular, with many of them reaching an exceptionally wide audience of between 50 – 200 million views. It should come at no shock that the biggest seller of the year for these toys goes to the L.O.L dolls, with prices ranging between the simple collectables at £3.99, all the way up to the price of £179.99.